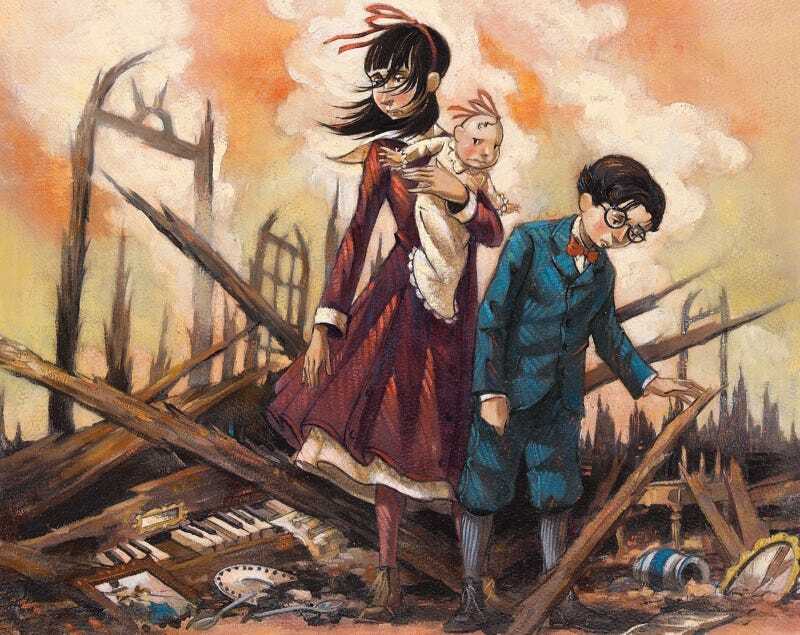 It’s been ages since we heard about any forward motion on Netflix’s TV show version of A Series of Unfortunate Events, but now at least we know who will be in charge: Mark Hudis (showrunner of True Blood) will be the showrunner and Barry Sonnenfeld will direct. Both will be executive producers. Sonnenfeld’s kind of perfect for this project. The books are dark and funny, with a fair amount of action. We know Sonnenfeld’s got the action and humor parts down from Men in Black. But the most relevant bit of his experience to keep in mind is that Sonnenfeld directed the first two episodes of Pushing Daisies. If he could bring the same irreverent style — and the same ability to juggle a narrator and on-screen action — to A Series of Unfortunate Events, the show could be brilliant. Netflix announced its plan to adapt Lemony Snicket’s books into a show back in November, and Variety reports that, despite this news, there’s still no actual dates for filming and release.